A Utah Republican wants to let state candidates pay for child care using campaign money. Federal candidates can already do that. Leah Hogsten | The Salt Lake Tribune UtahÕs 2nd Congressional District Democratic candidate Shireen Ghorbani dances after her concession speech at the Utah Democratic election night headquarters at the Radisson Hotel Salt Lake City, Tuesday, Nov. 6, 2018. 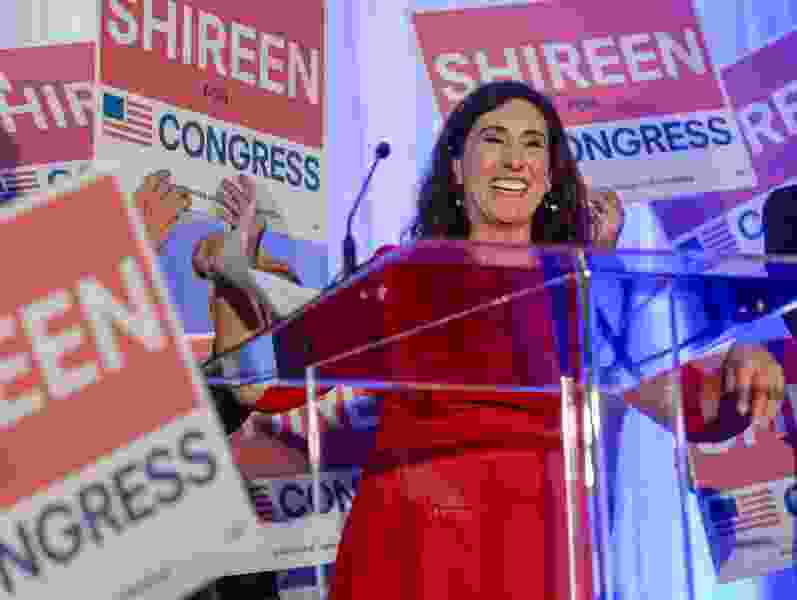 During her congressional run this year, Shireen Ghorbani said there were times when her son would join her at events. But that posed occasional challenges, the Democrat and now-Salt Lake County mayoral candidate said, as she had to be a parent and a political candidate simultaneously. Ghorbani ended up taking a leave of absence from her job at the University of Utah to devote more time to her campaign against Rep. Chris Stewart, R-Utah, who ultimately prevailed. And, in September, she announced her decision to take advantage of new federal election rules allowing for campaign funds to be spent on child care. The child care rule currently applies only to candidates for federal office, like the U.S. House and Senate. But Rep. Craig Hall, R-West Valley City, is sponsoring legislation to allow state candidates to follow suit. Utah law prohibits the personal use of campaign funds, and Hall said the language is ambiguous on whether child care expenses fall under those restrictions. “The intent of my bill is to make clear that in Utah, campaign funds can be used for child care while campaigning,” Hall said. Incoming Democratic Rep.-elect Stephanie Pitcher is also sponsoring nearly identical legislation. She said she hopes to meet with Hall soon to discuss the areas of overlap in their two proposals. In May, the Federal Election Commission ruled in favor of a request by Liuba Grechen Shirley — a Democratic congressional candidate from New York — to pay for her children’s baby sitter out of campaign donations. The unanimous ruling established a new precedent and was celebrated as a “game-changer” by Grechen Shirley in comments to reporters and in her social media posts. “I hope that this ruling today inspires more women to step up and run for office,” she told The Washington Post at the time of the ruling. Hall said a similar clarification in Utah law would create political opportunities for a broader pool of potential candidates. Ghorbani said the cost of child care can be a significant barrier for political candidates. By adding those costs to the list of permissible campaign expenses, she said, more parents of young children may be incentivized to participate in politics. She estimated that her campaign spent roughly $2,000 on child care over a two-month period. And after making her announcement in September, she said the feedback was positive, with some donors specifically asking how much was needed to cover a day or a week of care. Hall said he is still researching whether his bill can apply to county and municipal elections or whether that would require action by local councils and commissions. He posted about the bill on Twitter recently and said the feedback so far has been positive. “It’s always uncertain as to whether a bill will pass or not,” he said. Lawmakers will convene their 45-day session Jan. 28. Clarification: This article has been updated to include information on two similar pieces of proposed legislation.